Last week I walked by the Have a Heart Radiothon in the Orchard Park Mall. 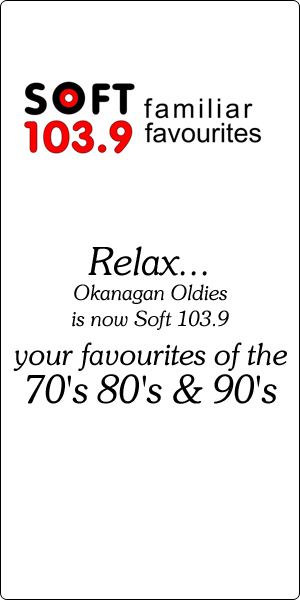 The goal of the radiothon was to raise funds for the pediatric ward at the Kelowna Hospital. Tears filled my eyes as I listened to the heart wrenching stories. At the same time my spirit was elevated as I witnessed over taxed citizens and businesses charge forward to give whatever money they could afford. If you ever doubt the extent of human compassion, you will regain your faith in humanity if you witness one of these telethons or radiothons. It is a true testament to our ability to care for each other as the radiothon raised almost $85,000. Congratulations to everyone involved! Not long after leaving the radiothon I found my mood suddenly shifted to one of pure rage. Why, you ask? Well, the news reporter on the radio stated that our federal government had spent $122 million of tax payer dollars on bombing Iraq. $122 million in the last six months! Now I live by a general rule that has served me well over the years, and that is to never believe anything the government tells me. Nothing! So when the government tells me they have spent $122 million killing Iraqis, I believe the real number is much larger than this. But for argument sake let’s assume this figure is accurate. Consider how much good could have come from spending $122 million on the pediatric ward at K.G.H., or having divided those funds amongst several pediatric wards. Just pause for a moment and actually think about that. Some would argue that I’m comparing apples and oranges here and that it would be impossible to divert that money to help sick kids. The truth is that it couldn’t be easier. It’s a simple decision. A stroke of a pen. Nothing more. Instead of helping sick kids in Canada, our leaders (and I choke as I write the word “leaders”) have chosen to take $122 million of my money and your money to bomb some country on the other side of the world. A country that poses absolutely no threat to us here in Canada. When bombing campaigns are conducted civilians always die. Part of civilian casualties are children. So our money has gone to inflict injury on children rather than helping them. Do you know what the probability of getting killed by a terrorist is in Canada? Absolutely Zero! Further to the point, there is a growing belief that ISIS is really just the CIA trying to provoke war. (Who knows?) After all, war is America’s largest export. Anyway that is an entirely different topic. Derrick Nicholson is a Currency Strategist. He has been in the industry for the past 20 years, and specializes in mitigating currency risk for companies doing business outside of Canada. Questions and inquiries can be directed to Derrick at [email protected].